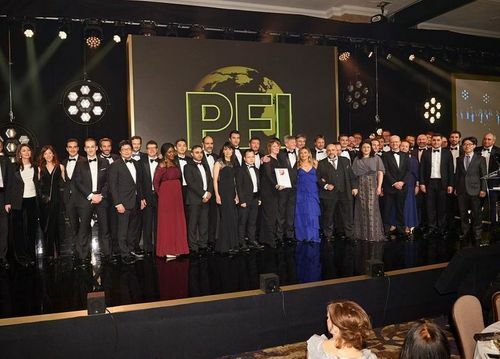 On 6 February 2019, Project Finance International (PFI) hosted an annual gala dinner in London, UK to celebrate the announcement of 2018 PFI Award winners. 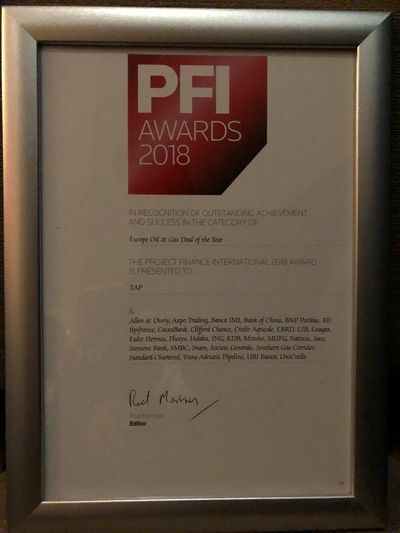 PFI is the leading publisher of global energy and infrastructure finance news, data and analysis. Among the winners of prestigious award was the Trans Adriatic Pipeline (TAP) project which received Europe Oil & Gas Deal of the Year award for the EUR 3.9 billion project financing that it closed in late 2018. The event was attended by hundreds of senior professionals from the commercial banks, international financial institutions (IFIs), project companies and sponsors, including those of Southern Gas Corridor CJSC (SGC CJSC). EUR 3.9 billion project financing of TAP was the largest project finance agreed for a European infrastructure project in 2018. The financing is provided by a large group of commercial banks and IFIs. Part of the financing is covered by the export credit agencies. SGC CJSC acts as one of the guarantors of the loan in the transaction (counter-guaranteed by a guarantee from the Republic of Azerbaijan) for the 20% share that it holds in Trans Adriatic Pipeline AG (TAP AG) and continues to provide required equity financing to TAP AG pro-rata to its equity share. TAP will connect directly to TANAP on the Turkish-Greek border and transport natural gas via Greece and Albania, across the Adriatic Sea to southern Italy. TAP is expected to play a key role in the EU’s strategic goal of energy security and diversification of energy sources as it will be the shortest and most direct method of exporting gas from Azerbaijan to European markets. TAP is also expected to have ‘‘physical reverse flow’’ features, which will allow gas from Italy to be diverted to Southeast Europe, if required. The “Intergovernmental Agreement” on TAP project was signed among Albania, Italy and Greece in February 2013. TAP groundbreaking ceremony was held on 17 May 2016. The pipeline will be 878 km long and is expected to become operational in 2020. Initial transportation capacity will be 10 bcma (expandable to 20 bcma). Overall progress in the construction of TAP was circa 84.1% as of the end 2018. TAP AG’s shareholders are: SGC CJSC (20%), BP (20%), Snam (20%), Fluxys (19%), Enagás (16%) and Axpo (5%). The purpose of Southern Gas Corridor value chain is the implementation of the 2nd Stage of the development of Shah Deniz gas-condensate field (SD2 project) and subsequent delivery of the gas to be produced under the project via expanded South Caucasus Pipeline (SCPX), Trans-Anatolian Pipeline (TANAP) and TAP to Turkey and Southern Europe. The Projects have an estimated investment cost of approximately US$40 billion. Upon completion, the SD2 project will add a further 16 bcm of natural gas per annum to 10.9 bcma (maximum production capacity) already produced under the 1st Stage of the development of Shah Deniz gas-condensate field (SD1 project). 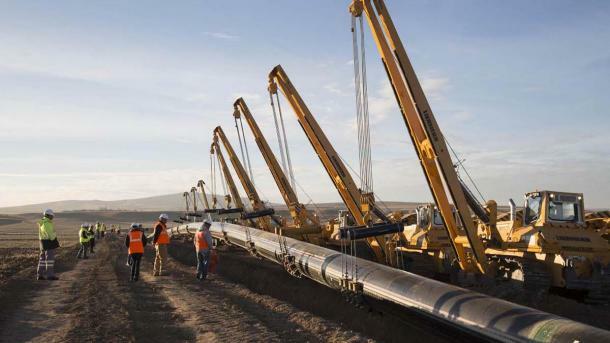 Total length of the newly constructed SCPX, TANAP and TAP pipelines will be more than 3,200 kilometres. SGC CJSC was incorporated pursuant to Presidential Decree No. 287 “On relevant measures related to the second stage of the operation of Shah Deniz gas-condensate field and establishment of the Southern Gas Corridor with regard to other projects” dated 25 February 2014. The company’s purpose is consolidating, managing and financing the State’s interests in the Southern Gas Corridor projects. 51% of SGC CJSC’s share capital is held by the Ministry of Economy of the Republic of Azerbaijan and 49% by SOCAR. "Southern Gas Corridor" CJSC signs a syndicated loan agreement under the Multilateral Investment Guarantee Agency (“MIGA”) guarantee. “Southern Gas Corridor” CJSC (“SGC CJSC”) signs a syndicated loan agreement in the amount of US$750 million under the guarantee of the Multilateral Investment Guarantee Agency (MIGA) to finance the Trans-Anatolian Pipeline (“TANAP”) project. On 29 June of the current year, the loan and guarantee agreements were signed in relation to the syndicated loan facility to “Southern Gas Corridor” CJSC (“SGC CJSC”) in the total amount of US$750 mln (US$500 million and EUR 215 million) backed with the guarantees of the Republic of Azerbaijan (sovereign guarantee) and Multilateral Investment Guarantee Agency (“MIGA”) for the purpose of financing Trans-Anatolian Pipeline (“TANAP”) project, which is part of the Southern Gas Corridor (“SGC”) project. The sovereign guarantee agreement in relation to the mentioned loan agreement was signed by the Finance Minister Samir Sharifov on behalf of the Republic of Azerbaijan, and the loan agreement was signed by the General Director of SGC CJSC Afgan Isayev. MIGA is an international financial-credit institution established in 1988, as a part of the World Bank Group, to encourage direct investments in member countries. The organization provides the insurance for the investments against non-commercial risks. The Republic of Azerbaijan became a member of the World Bank, including MIGA, in 1992. "The SGC project has been financially supported by the leading international financial institutions, and Phase-0 under TANAP project, which relates to the works required for the first commercial gas deliveries to Turkey, has already been completed. The works planned for the delivery of natural gas to Europe through Turkey in the near future are being carried out according to the schedule. Overall progress in works in relation to the 2nd Stage of the development of Shah Deniz gas-condensate field (“SD2”) and South Caucasus Pipeline Expansion project (“SCPX”) is 100.0% (for the 1st commercial gas deliveries), TANAP project – 94.8% and Trans Adriatic Pipeline (“TAP”) project – 74.6%. The purpose of SGC value chain is the implementation of SD2 project and subsequent delivery of the gas to be produced under the project via SCPX, TANAP and TAP to Turkey and Southern Europe. SGC CJSC was incorporated pursuant to Presidential Decree No. 287 “On relevant measures related to the second stage of the operation of Shah Deniz gas-condensate field and establishment of the Southern Gas Corridor with regard to other projects” dated 25 February 2014. 51% of SGC CJSC’s share capital is held by the Ministry of Economy of the Republic of Azerbaijan and 49% by SOCAR. 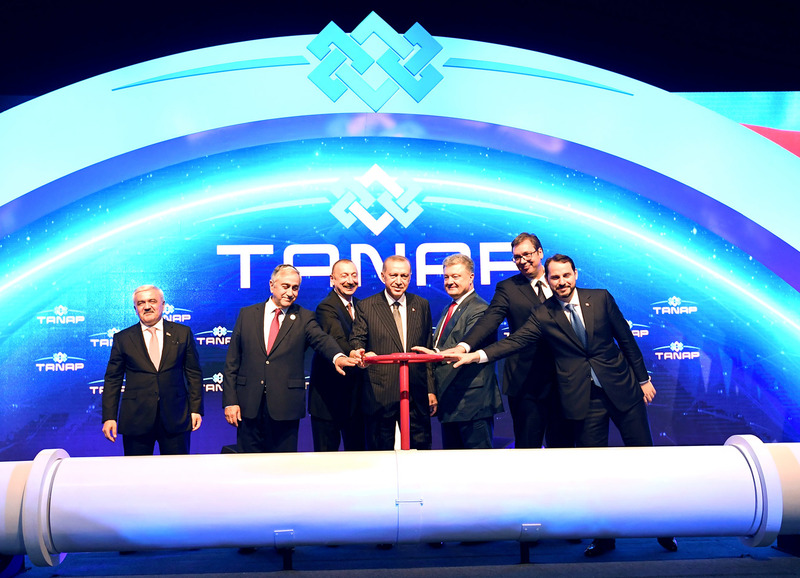 The inauguration ceremony of TANAP project held in the city of Eskişehir, Turkey. TANAP was launched in Eskişehir, Turkey with the attendance of the high-ranking officials of Azerbaijan, Turkey and other countries. The solemn ceremony relating to the Trans-Anatolian Pipeline (TANAP) Project, which is designed to transport Azerbaijani gas to Turkey and further to Europe, has been held in the city of Eskişehir, Turkey. President of Azerbaijan Ilham Aliyev, President of Turkey Recep Tayyip Erdogan, President of Ukraine Petro Poroshenko, President of Serbia Aleksandar Vucic, the leader of Northern Cyprus Mustafa Akinci and high-ranking officials and representatives of various companies attended the ceremony. The formal speeches were followed by a symbolic reception of gas carried out by the heads of state participating in the ceremony, and TANAP was put into operation for the shipment of gas. TANAP connects directly to SCP on the Georgia-Turkey border and will connect to TAP on the Turkey-Greece border. The Memorandum of Understanding between Azerbaijan and Turkey in relation to TANAP project was signed on 24 December 2011. The “Host Government Agreement” between the Republic of Turkey and TANAP company and the “Intergovernmental Agreement between the Government of the Republic of Turkey and the Government of the Republic of Azerbaijan concerning the Trans-Anatolian Natural Gas Pipeline System” were signed on 26 June 2012 and ratified by the appropriate legislative bodies of two countries. TANAP groundbreaking ceremony was held on 17 March 2015. Currently, TANAP shareholders’ stakes in the project are as follows: “Southern Gas Corridor” CJSC – 51%, STEAS – 7%, BOTAS - 30% and BP – 12%. The overall progress of TANAP project is 94.8%, total capital expenditures are currently estimated at US$8.0 billion. By the end of April 2018 US$5.4 billion had already been spent on the project. TANAP carries on significant economic value due to its potential to transport not only the natural gas from Shah Deniz field to European end markets, but also from other fields of Azerbaijan.. Overall, the length of the pipeline from Georgia-Turkey border to Eskişehir is 1,336 km (with 56 inch diameter) and from Eskişehir to Turkey-Greece border - 459 km (with 48 inch diameter). Besides that, TANAP system includes two subsea pipelines in Dardanelles, each 18 km (with 36 inch diameter) long. Initial transportation capacity will be 16.2 bcma, expandable to 30.7 bcma. Afgan Isayev provided updates with respect to the works carried out under Southern Gas Corridor and SGC CJSC’s financing activities. 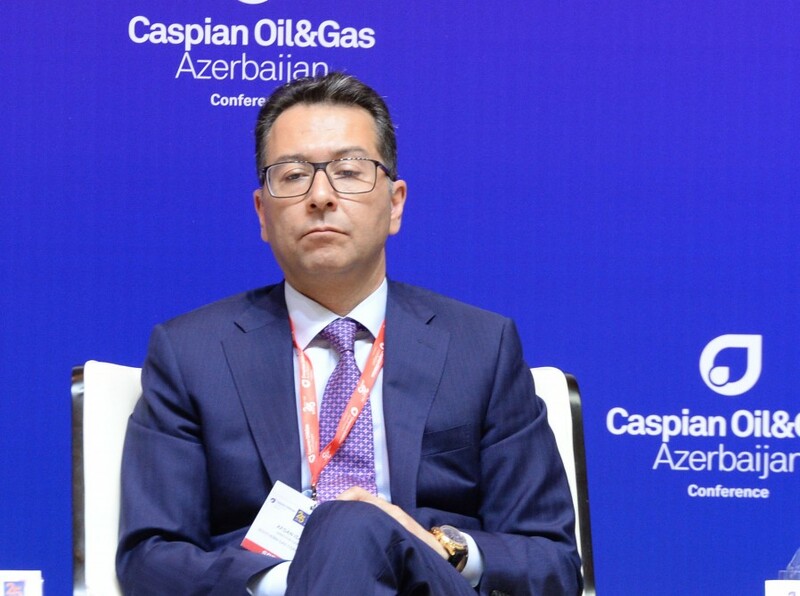 Following the inauguration ceremony of the Southern Gas Corridor project (“SGC”) held on 29 May 2018, the General Director of Southern Gas Corridor CJSC (“SGC CJSC”), Afgan Isayev, participated in the International Caspian Oil & Gas Conference on 30 May 2018 in Baku and provided updates with respect to the works carried out under each project, comprising SGC, and the financing activities SGC CJSC has been engaged in. Overall progress to the 1st Gas under Shah Deniz Stage 2 project is over 99.0%, SCP Expansion project - 100.0% (to the 1st Gas), TANAP project – 94.0% and TAP project – 72.9%. The construction works are successfully progressing. 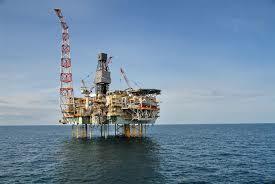 The total cost of Shah Deniz Stage 2 project is currently estimated to be US$22.7 bln (US$17.7 bln spent as of the end of April 2018), SCPX project - US$4.5 bln (US$4.2 bln spent as of the end of April 2018), TANAP project - US$8.0 bln (US$5.4 bln spent as of the end of April 2018), and TAP project - EUR 4.5 bln (EUR 2.9 bln spent as of the end of April 2018). Mr. Isayev noted that the leading international financial institutions, such as the International Bank for Reconstruction and Development, Asian Infrastructure Investment Bank, European Bank for Reconstruction and Development, and Asian Development Bank, have already provided financial support to SGC CJSC for its commitments in the project. SGC CJSC’s share for the financing of SGC value chain (net of revenues from existing Shah Deniz 1 and SCP projects) till 2020 inclusive is estimated to stand at US$11.5 bln, US$9.0 bln of which (over 78%) had already been invested as of the end of April 2018. Out of the amount already spent, approximately US$0.5 bln has been invested since the beginning of 2018.
Financing from IFIs and commercial banks. The main purpose of SGC is the full-field development of Shah Deniz gas-condensate field (or Shah Deniz Stage 2) and subsequent delivery of the gas to be produced under the project via SCPX, TANAP and TAP to Turkey and Southern Europe. The entity holding and managing the participating interests of the Republic of Azerbaijan in the SGC is SGC CJSC, which was incorporated pursuant to Presidential Decree No. 287 “On relevant measures related to the second stage of the operation of Shah Deniz gas-condensate field and establishment of the Southern Gas Corridor with regard to other projects” dated 25 February 2014. 51% of SGC CJSC’s share capital is held by the Ministry of Economy of the Republic of Azerbaijan and 49% by SOCAR. The Southern Gas Corridor project inaugurated in Azerbaijan. An official ceremony marking the inauguration of the Southern Gas Corridor (“SGC”) was held, today, 29 May 2018, at the Sangachal Terminal near Baku. 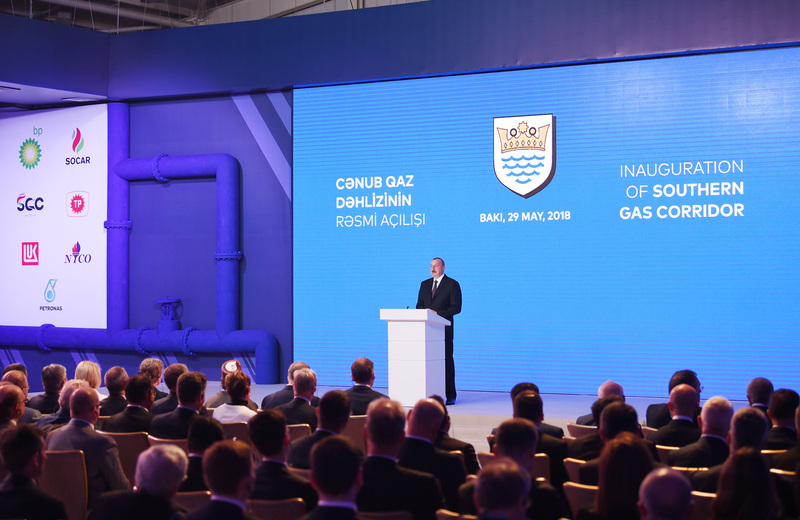 Ilham Aliyev, President of the Republic of Azerbaijan, attended the ceremony and by opening a symbolic valve formally inaugurated the SGC value chain across Azerbaijan and Georgia aimed at delivering first commercial gas to Turkey next month. The President of Azerbaijan expressed his gratitude to the Turkey, Georgia, US, UK, EU for political and economic backing of the SGC, as well as to the banks providing financial support to the project participants enabling the realisation of the SGC. Bernard Looney, from BP, on behalf of the Shah Deniz consortium, also emphasized the importance of the value chain to all stakeholders, the successful delivery of the project by Shah Deniz consortium, and acknowledged the ongoing support of the President of Azerbaijan, the government and SOCAR in its implementation. The main purpose of the SGC is the full-field development of Shah Deniz gas-condensate field (or Shah Deniz Stage 2) and subsequent delivery of the gas to be produced under the project via SCPX, TANAP and TAP to Turkey and Southern Europe. 12 June 2018 will mark the opening of the next leg of SGC – TANAP at Eskishehir, Turkey. The entity holding and managing the participating interests of the Republic of Azerbaijan in the SGC is Southern Gas Corridor CJSC (“SGC CJSC”), which was incorporated pursuant to Presidential Decree No. 287 “On relevant measures related to the second stage of the operation of Shah Deniz gas-condensate field and establishment of the Southern Gas Corridor with regard to other projects” dated 25 February 2014. 51% of SGC CJSC’s share capital is held by the Ministry of Economy of the Republic of Azerbaijan and 49% by SOCAR. The 4th Ministerial Meeting of the Southern Gas Corridor (SGC) Advisory Council has been held at the Heydar Aliyev Center in Baku. “Southern Gas Corridor” CJSC signs a syndicated loan facility in the amount of US$524.5 million, guaranteed by ADB, for the financing of Shah Deniz project. On 22 December of the current year, loan and guarantee agreements were signed for granting a syndicated loan facility in the amount of US$524.5 million backed with the guarantees of Azerbaijani state (sovereign guarantee) and Asian Development Bank (ADB) to “Southern Gas Corridor” CJSC (SGC) for the purpose of supporting the development of Shah Deniz gas and condensate field (Shah Deniz project). The aforementioned guarantee agreement was signed by the Finance Minister Samir Sharifov on behalf of the Azerbaijani state, and the loan agreement was signed by SGC’s General Director Afgan Isayev. It should be noted that earlier, in May 2017, a direct loan in the amount of US$500 million backed with the sovereign guarantee and with a tenor of 15 years, was allocated by ADB to SGC for the financing of Shah Deniz project. ADB was founded in 1966 and is composed of 67 member-countries. Azerbaijan became a member of ADB on 22 December 1999. In 2015 Azerbaijan hosted the 48th Annual Meeting of the Board of Governors of ADB. The main purpose of the Southern Gas Corridor project is the full-field development of Shah Deniz gas-condensate field (or Shah Deniz Stage 2) and subsequent delivery of the gas to be produced under this project via SCPX, TANAP and TAP to Turkey and Southern Europe. “Southern Gas Corridor” CJSC was incorporated pursuant to Presidential Decree No. 287 “On relevant measures related to the second stage of the operation of Shah Deniz gas-condensate field and establishment of the Southern Gas Corridor with regard to other projects” dated 25 February 2014; 51% of SGC’s capital is held by the Ministry of Economy of the Republic of Azerbaijan and 49% of the capital is held by SOCAR. On the 20th of October of the current year a loan agreement in the amount of US$500 million for the financing of TANAP project was signed between “Southern Gas Corridor” CJSC (SGC) and European Bank for Reconstruction and Development (EBRD). The aforementioned loan agreement was signed by SGC’s General Director Afgan Isayev and the Director of Energy and Natural Resources for Russia, Caucasus and Central Asia region at EBRD, Aida Sitdikova, while the Guarantee Agreement in relation to the loan agreement was signed by the Minister of Finance of Azerbaijan Republic Samir Sharifov and Aida Sitdikova. It should be noted that earlier, on the 18th of October of 2017, the Board of Directors at EBRD approved the allocation of US$500 million to SGC under the loan agreement, backed with the sovereign guarantee, for the financing of TANAP Project. The EBRD Board of Directors has approved a US$ 500 million regional project today that will help finance the delivery of crucial energy supplies from the Caspian Sea through to Europe along the Southern Gas Corridor (SGC).